All embroidered to the child's name and if you want matching theme and colors to make your hand. 1 / booties have soft bottoms, top is light pink faux leather and back in white. On the name of child and the other stars footed. Can choose the size from birth to 24. 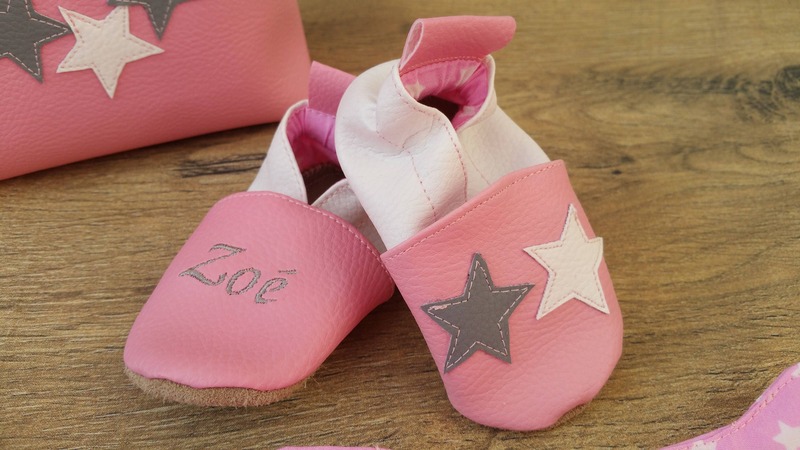 2 / protects it health record is faux leather light pink, embroidered with the name of child and resuming the motive for the stars here. 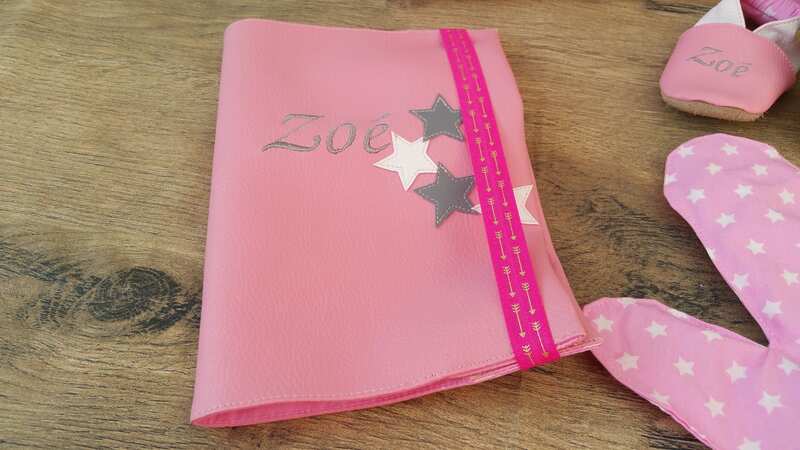 Protects it notebook is lined cotton and closes with an elastic band to lose orders. 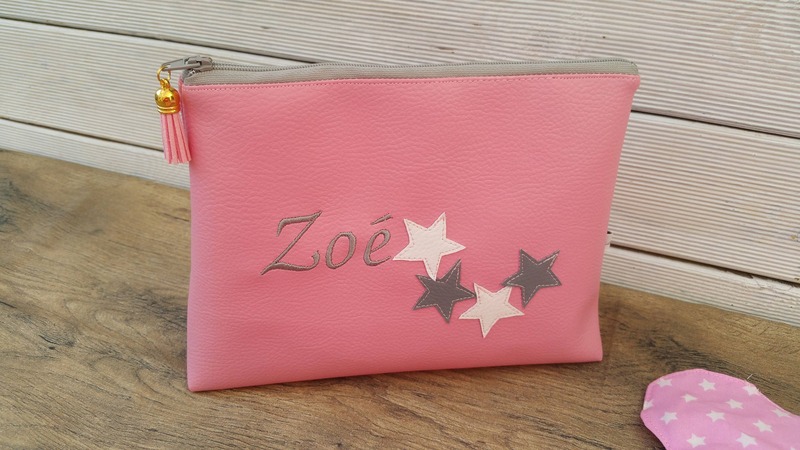 3 / compact toilet Kit is faux leather light pink, embroidered with the name of child and resuming the motive for the stars here. It is lined with cotton and closed by zipper. 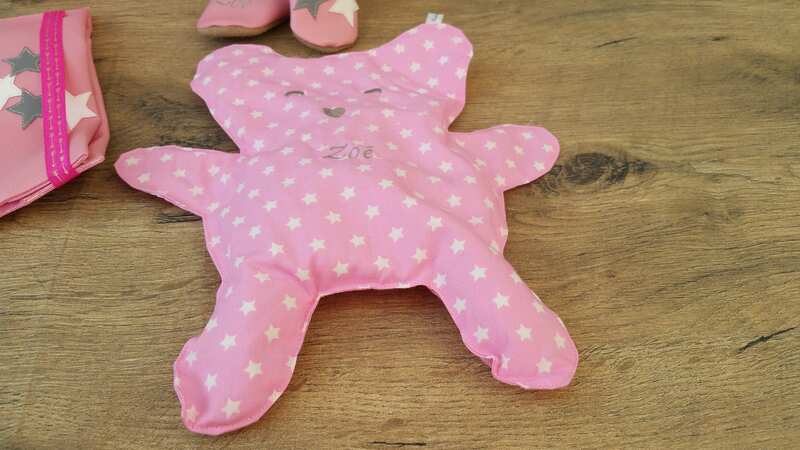 4 / heated "Calicho" is made of pink and embroidered star cotton fabric with the child's name. It is also possible to make the same case for boy with the appropriate colors. It is possible to choose a different embroidery. All of these products is made by me in the rules of the art in my workshop in France.